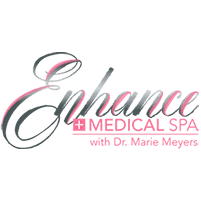 Laser Genesis is one of the most popular treatments done by Dr. Meyers at Enhance Medical Spa. It minimizes fine lines and wrinkles, reduces scarring, shrinks large pores, and evens out skin tone. In addition, it is FDA-approved to diminish the redness of rosacea.To learn more about the minimally invasive beauty treatment, call the office or book online. The laser stimulates collagen production to tighten skin and repair scarring, and breaks down damaged capillaries so they can be reabsorbed by the body. What is a Laser Genesis treatment like? The sensation is one of gentle warmth, similar to standing in front of a campfire. It is relaxing and comfortable, so much so that patients sometimes fall asleep. There is no downtime afterwards. How many Laser Genesis treatments are recommended? An initial series of 3 is recommended, spaced a month apart. However many patients continue to do the treatments monthly because of the marked improvement in their skin. What is the satisfaction rate? Patients love this treatment because it is both comfortable and effective. Call Enhance Medical Spa today or book online and see how much better your skin can look.